Although Guatemala is a rather small country (108000 km2) it shows an incredible diversity. 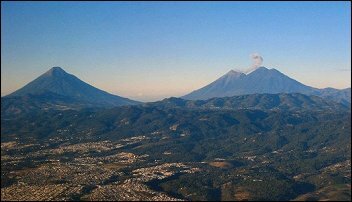 The climate ranges from eternal Spring around Guatemala City, to desert, rainforest, chilly highlands, the hot and humid coastal plain, and everything in between. In addition to Spanish, about 20 completely distinct local Mayan languages are spoken in the country. The diversity makes the country fascinating, but the diversity isn't always positive.